You’re active in an organisation and you’d like to help it become more effective. How do you proceed? You can work harder yourself. You can try to recruit others to support the cause. You can set up a website, run an advertisement, or invite some friends to a meeting. What’s the most effective thing to do? This question is relevant to a wide range of organisations, including sporting clubs, corporations, government departments, environmental groups, churches and political parties. Despite the importance of the question, surprisingly most organisation members simply rely on what they’ve always done. 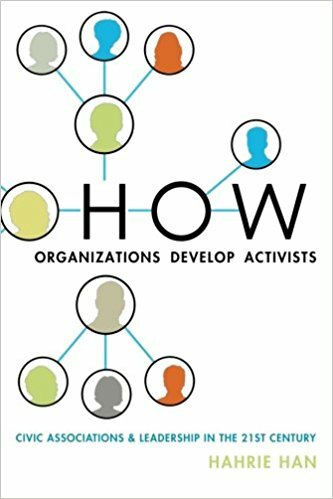 For insight, it’s worth learning from the 2014 book How Organizations Develop Activists by Hahrie Han. 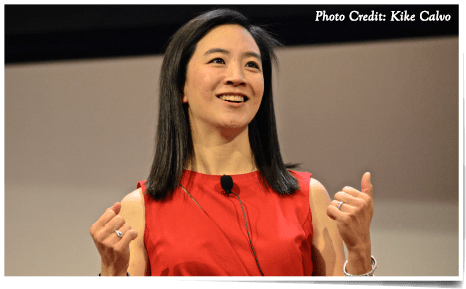 To try to assess what methods worked better, Han looked at the different chapters of two US national organisations that she calls People for the Environment and the National Association of Doctors. Some chapters were more effective than others. Han interviewed members and observed strategies, and came up with a framework. Some chapters relied on lone wolves. A lone wolf in this context is someone who takes action on their own. These individuals became committed to the cause, studied the issues, became very knowledgeable and wrote submissions and personally lobbied politicians. The lone wolf approach is usually not very effective because very few individuals maintain a commitment on their own and because collective action is vital for some purposes. Other chapters relied on a second approach that Han calls mobilising. 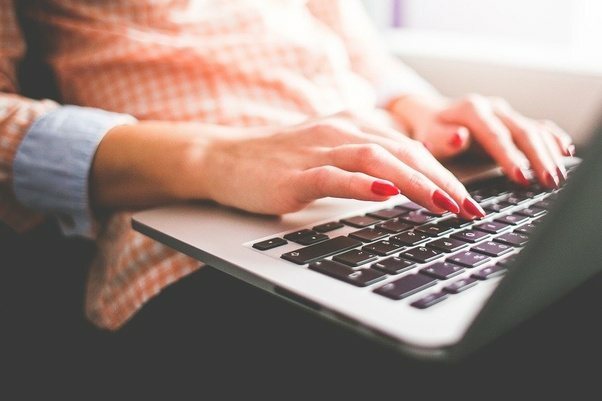 Core members would decide on actions, such as a meeting, petition drive or rally, and try to recruit people to join the action, for example by sending emails or ringing. Sometimes a mobilising strategy can bring huge numbers onto the street, especially when there is an event triggering outrage. 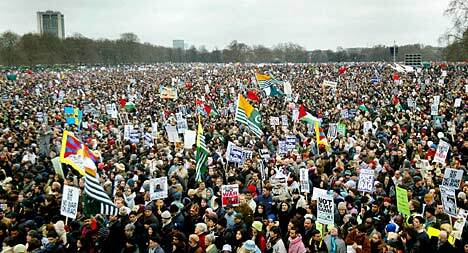 This happened just before the 2003 invasion of Iraq, when campaigners were amazed by huge turnouts at rallies. But other times there is little response to the messages calling for action. Han calls mobilising a “transactional” exchange between the organisation and the activist. The organisation seeks to make action as easy as possible so that, for the activist, the benefits of acting outweigh the costs. Yet other chapters relied on a third approach that Han calls organising. Experienced members, in their role as organisers, try to identify members or supporters who might take a leadership role, and spend time helping them to develop their skills and motivation. In this model, organisers identify and train others to become autonomous leaders. Han calls organising “transformational” because it aims to change individuals, developing their understanding, perspectives and emotional investments. Through this process, activists become more knowledgeable and involved, and start thinking strategically of how the organisation can achieve its goals. Han says the most effective chapters use a combination of mobilising and organising. They use mobilising, for example getting people to public events, to achieve the goals of the organisation, and to identify potential leaders. Then organising methods are used to develop possible leaders, who go on to train others, building the capacity to mobilise many more people. Although mobilising and organising are used in the most effective chapters, organising is the most easily neglected. In the heat of a campaign, core members may focus on getting out the numbers rather than the slower, long-term effort in helping others develop skills and motivations. Organising requires much hard work. Another factor is that media technologies now make mobilising easier than before. With databases giving the demographics of community members, it is straightforward to tap into pre-existing commitments. One consequence is that organising is sidelined. Han’s analysis of civic organisations deals with US environmental and medical campaigning groups, and is oriented to influencing politicians. Whether her observations apply more widely is uncertain. Even with this caveat, I think Han’s conceptual division of organisational development into lone wolf, mobilising and organising approaches is immensely valuable. It provides an insight into the strengths and weaknesses of a range of organisations well outside the domain studied by Han. Large unions have paid staff, and often the paid officials take on the bulk of union work, from holding meetings with employers to deciding on industrial action. There may not be much sustained effort to select workers who can become effective labour activists, thinking strategically, acting autonomously and in turn recruiting others to become activists. Why not? One reason is that unions have a natural constituency, the workers, with common interests, so it’s far easier to call on workers to take action than to develop more organisers. Recently, I attended a campaign forum held by the local branch of my union, the National Tertiary Education Union. The presidents of branches at two other Australian universities — Damien Cahill at Sydney University and Vince Caughley at the University of Technology Sydney — told about their unions’ efforts to protect and improve staff conditions. They told about how union membership had declined in the aftermath of enterprise bargaining. Many university employees don’t see the point of being union members because they receive all the benefits of union efforts without having to pay union dues. Damien and Vince told about the importance of face-to-face meetings with individuals, of encouraging members to help in small ways (like putting up a notice about a meeting) and of identifying potential leaders. What they described fits perfectly in the organising mode. Because unions have a natural constituency for mobilising, organising is all the more important. In Australia, political parties are poor at organising. Party memberships have been shrinking for decades, and ever more activity is driven by political staffers. One factor is compulsory voting. There is no need to “get out the vote,” and therefore less incentive to employ either mobilising or organising strategies. Universities, for the most part, do not do much organising. Most of the effort at marketing is done by paid staff. There are quite a few people willing to be volunteers, especially alumni and retired staff, but at most universities it is not a priority to identify and develop volunteers who will become ambassadors for the university. As a result, most of the efforts are by lone wolves, individuals who take the initiative themselves. Consider education and the challenge of helping people learn. Imagine there is an independent campaign group that tries to promote learning. This is not a lobbying group, seeking more government or private funding, but a group that directly engages with eager learners. How can such a group become more effective? Following Han’s insights, the most promising model is a combination of mobilising and organising. But are there any such groups? In Australia, they exist only on the margins. One place is refugee support groups. In Wollongong there is a group called SCARF (Strategic Community Assistance to Refugee Families). Among its activities is a tutoring programme for refugee children. SCARF can extend this programme through recruiting more tutors and by more systematic mentoring of tutors so they can become leaders to recruit and train others. Another place for direct learning is the home. 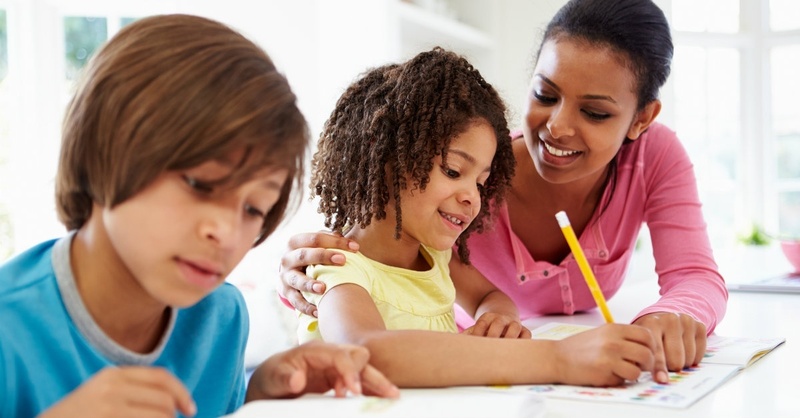 Many parents take it upon themselves to assist their children’s learning. Home schoolers take a much heavier responsibility. Campaigners for home schooling can use the mobilising and organising methods described by Han. However, there seems to be no wide-scale campaign in Australia to foster learning. The best examples of such campaigns have been in countries with low literacy, where efforts by social movements link learning with understanding of oppression and resistance. Paulo Freire’s efforts are most well known. Some Western social movements see learning as part of their brief. They can form reading groups, study circles and other processes to build understanding. But such efforts are often seen as low priority because it’s easier to draw on people who have developed their skills through formal education. Movements are thus likely to neglect organising for learning. In the disability sector in Australia, there is an important role for advocacy, in which an individual supports a person with a disability, helping them to meet their needs. An advocate is different from a service provider, who directly helps by providing food, transport, housing and other essentials. An advocate, in contrast, essentially speaks on behalf of the person with a disability to make sure the service system operates properly on their behalf. Alice has an intellectual disability. Abandoned by her family, she lives in a group home where she has been subject to abuse by other residents. She has no friends. Jo, an advocate for Alice, puts pressure on the managers of the group home to place her in a safer residence. Jo introduces Alice to a few others who might become friends, uses contacts to get her a job, and helps her develop living skills. In practice, family members, especially parents, most commonly act as advocates. But in some cases the family is unwilling or unable to help and the service system is overloaded or dysfunctional, so some other form of advocacy is valuable. Jo could be a paid advocate, who acts on behalf of several people with disabilities. Another possibility is that Jo is a citizen advocate, taking action on behalf of Alice out of a personal commitment. Citizen advocacy programmes were set up to promote this form of advocacy. Typically they have a few staff paid by government or private donations. The staff search the local community for people with disabilities who have significant unmet needs, like Alice, called protégés, then seek to recruit someone like Jo who will be an advocate, often on an ongoing basis. The staff then support the advocate by providing advice, training and encouragement. 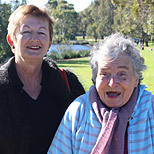 Citizen advocacy in essence operates using an organising model, with a highly specific focus. The paid staff do not do advocacy themselves but devote most of their efforts to finding protégés and a suitable advocate for each protégé, and then supporting the advocates. However, citizen advocacy has only a limited capacity for expansion because it does not recruit or train new coordinators, namely people who could become match-makers themselves, though without pay. As well, mobilising methods could be valuable to expand citizen advocacy. In contrast, paid advocacy is more analogous to the lone wolf model of activism. 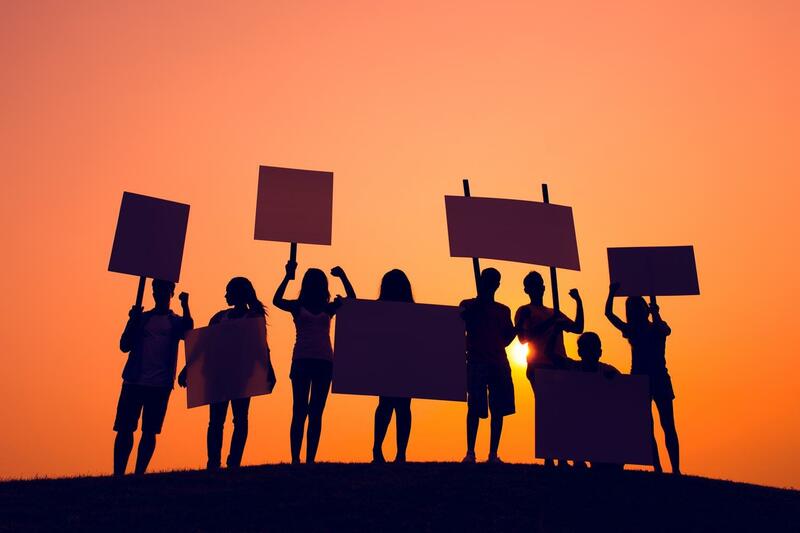 Individual advocates may be very good at their jobs, but cannot expand their efforts more broadly because the methods of mobilising and organising are not used. A previous post: “The rise and decline of Illawarra Citizen Advocacy“. My account here refers to the time before the National Disability Insurance Scheme. The methods of the lone wolf, mobilising and organising seem to apply most obviously to campaigning, which is Han’s focus. But what about actually doing jobs? Han studied a doctors’ advocacy organisation. But is there any organisation that tries to build a community capacity for health care? 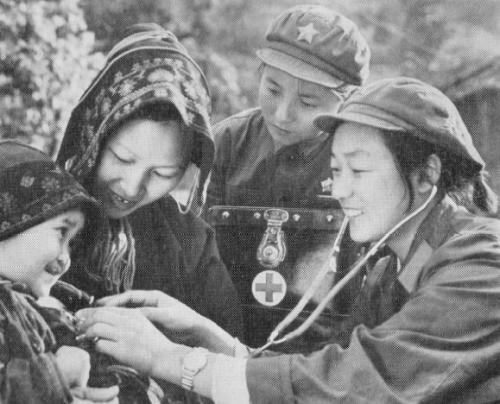 In China under Mao, “barefoot doctors,” who learned basic skills but were not professionally trained, served the rural poor. However, where the medical profession is well established, there is little or no fostering of the capacity of people outside the formal structures to contribute. About the most that anyone does is take a first-aid course, or perhaps volunteer at a hospice. By excluding non-trained individuals, occupations maintain a monopoly over service, preventing competition and maintaining salaries and conditions for those accepted into the occupation. This applies in professionalised domains such as medicine, dentistry, law and engineering. The same phenomenon applies to most large employers. A company, to get a job done, hires workers and spends little effort at developing the skills of non-workers to do the same job. To do so would be heresy: it would be seen as undermining the work of those paid to do it. Within government departments, the same applies. There is little effort at recruiting unpaid helpers and developing their skills. That would be a threat to the paid workers and seen as exploitation of the unpaid helpers, even if they were keen to contribute. Things would be different if everyone was guaranteed a decent annual income, as proposed by advocates of the UBI, universal basic income. If paid work were a voluntary extra, then mobilising and organising would become more important to encourage people to make contributions to worthwhile causes. Han points out that in practice few organisations rely entirely on one approach. The lone wolf, mobilising and organising approaches are “ideal types” that are helpful for better understanding what happens in actual organisations. One of Han’s most important messages is that organising is often neglected. One reason for this is that so many social institutions are set up to protect those with skills and to marginalise outsiders. Thus, it is bound to be an uphill battle to expand the role of organising. And to do this, the most obvious method is — organising! Thanks to Damien Cahill, Sharon Callaghan, Julie Dunn and Jan Kent for valuable feedback. 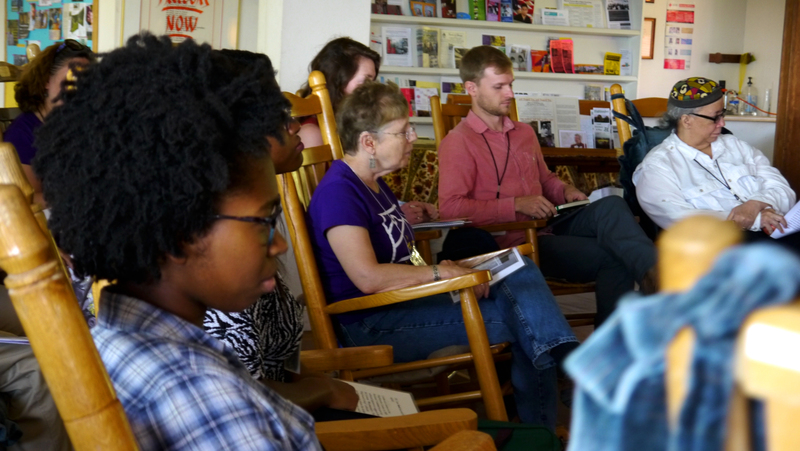 I liked the pointers to longer-term solutions on building activism. Workers in disability services in Australia who are active in their union came together and said they wanted access to quality training and recognition of the skills they bring to their work. The Australian Services Union, as the union for these workers, commissioned a report. Workers in disability are now seeking “A Portable Training Entitlement Scheme for the Disability Support Services Sector“, to give the title of the report authored by Drs Rose Ryan and Jim Stanford. This campaign, if successful, will address other gaps in this sector. Quality training and supervision, whistleblower protections and strong workplace safety mechanisms are important to workers who often have extraordinary responsibilities caring for vulnerable service users. Organising and supporting workers to speak out and demand their entitlements has long lasting flow on benefits for the service and sector. I was interested in the idea of organising both inside and outside formal structures and accept some forms of professionalisation are not open to those seen as “non expert.” Personal activism with the freedom to speak out may still be limited when lacking the resources, skill development and support that formal groups can provide. Somehow finding ways to allow the authentic voice of the activist come through with assistance of the formal structure of their union, university or community group, may be a good way to go.